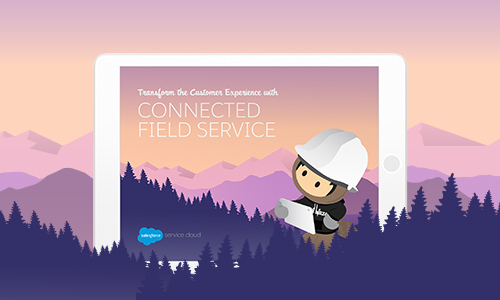 Meet the expectations of today’s connected customers with connected field service. In this e-book you’ll learn how your business can revolutionize the way you manage service to deliver a faster, smarter, more personalized customer experience from end-to-end. Today’s connected customers have exceedingly high expectations. Does your team have the tools it needs to exceed those expectations? Download the Field Service Lightning e-book and read about best practices for creating a more efficient call center, equipping field agents, and delivering an amazing customer experience.